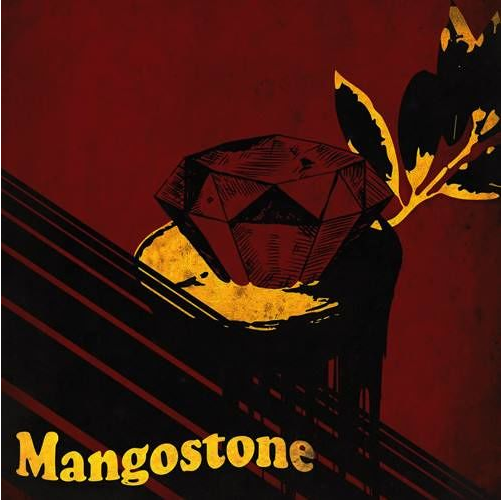 Mangostone are a new act on UK label Lock Up Rock, and on this two-track demo, the trio unloads ~13 minutes of fuzzy, bassy, psychedelically-inspired rock, beginning with the slow groover "Both Knew (Who The Other Was)". It's a nice and sedate trip at first, but before too long the buzzsaw guitar is carving out big slices of amp-overloading earth tones, everyone's throwing in on the vocals, and the headbanging begins in earnest. "Drams And Grams" is the other side of the single, throwing in a sample of high-seas conflict before jamming the pedals down to the metal again. It's gnarly, unruly, and damn fun, with the band pulling one false stop after another but keeping the wheels rolling on pure wall-of-sound power. They pull from grunge's heavier side, mix it with modern stoner rock, then toss away the guide-book and bring it to life. Keep a good ear out for more to come from this group, and if you have the chance to catch a gig, do not miss out.